It opens with inviting notes of baking spices and a bit of fresh fruit. It almost smells youthful at first but not in the typical harsh way. With a few minutes in the glass the nose progresses to warmer and more developed notes of caramel, honey, gingerbread, and oak, along with fainter hints of orange and lemon. It’s not overly complex, nor overly oaked, which is a surprise from a blend of 16 year and 17 year old ryes. Overall a really nice opening. Many of the notes from the nose carry over to the palate. Baking spices, gingerbread, vanilla, and caramel easily stick out the most. 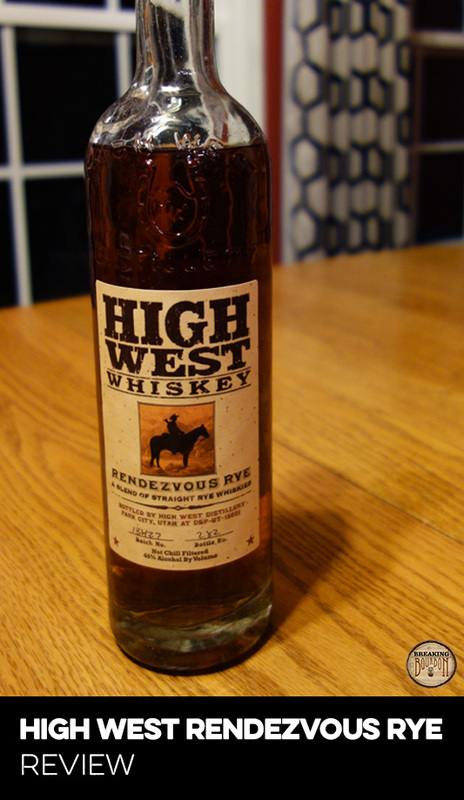 Like many of High West’s rye blends, the palate isn’t incredibly complex. 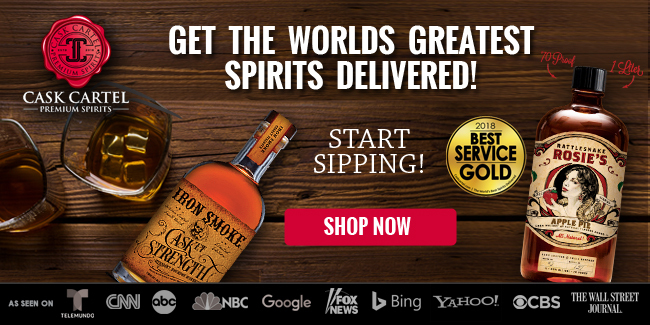 It definitely tastes sweeter than some of their other offerings and that might be the whiskey’s main sticking point. The spice, while present, is dialed back and mingles with the sweet notes differently than most rye whiskeys. All of this makes for a very approachable whiskey. Except for a slight trace of a semi-dry oaky aftertaste, I’m surprised at how fast the finish drops off and leaves almost no flavor on the tongue. It’s almost like a magic trick: there one second, gone the next. The whiskey has a nice mouthfeel and some weight to it as it begins to go down, but then immediately thins out once it does. Despite all of this sounding negative, I wouldn’t call the finish necessarily bad. I just wish the flavors stuck around longer. 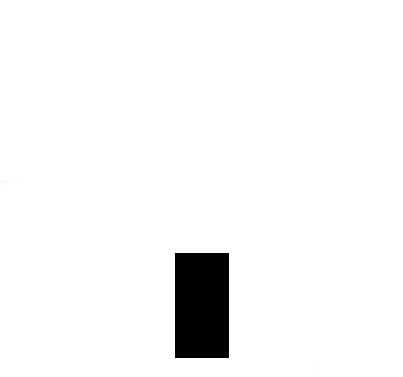 Thankfully it leaves just the right amount on burn on the way down to remind you that it was there. High aged ryes are a rarity. One of the main reasons is because ryes generally taste better under the 10 year mark. 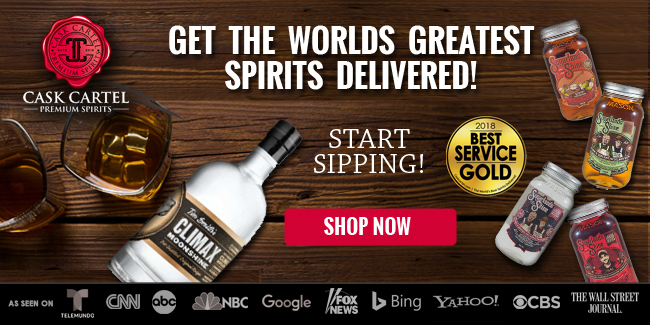 Of course there are exceptions to this, namely Sazerac 18 Year, Willett Family Estate ryes, Rittenhouse 21-25 years, and even High West’s other high aged ryes. Hearing over and over from master distillers how difficult it is to properly age bourbon for a high number of years, aging rye for the same number of years might be even harder since there are so few available. 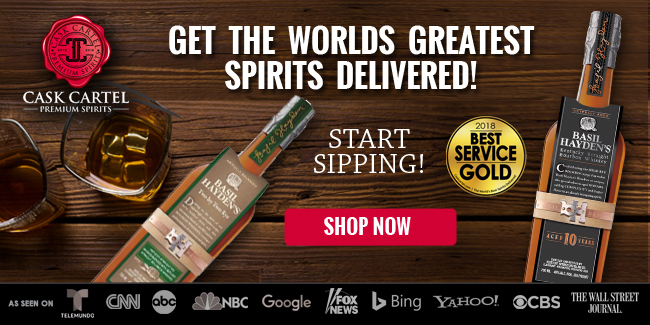 Any time a high age rye hits the market, it’s reason enough to take notice. 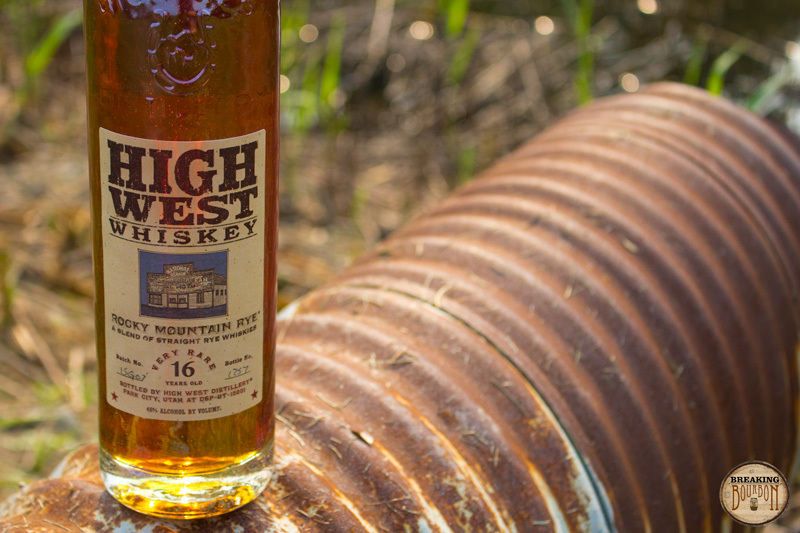 High West has yet again turned to what they do best: blending. Where some of the company’s other ryes are blends of young and old, this edition of Rocky Mountain Rye is a blend of 16-year-old Barton rye and a 17-year-old LDI rye. Blending young and old ryes makes a lot of sense as it helps smooth out the highs and lows that rye often has. However, many high-aged ryes are often heavily oaked, so blending only high aged ryes with a good results must be a trial of tribulations. 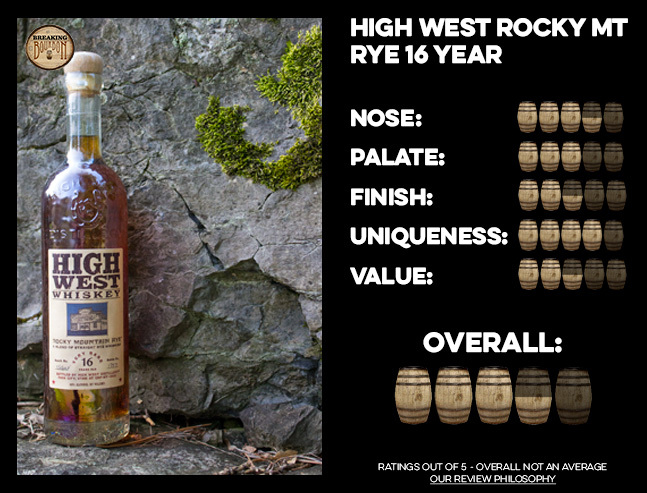 Rocky Mountain Rye 16 Year shares a lot of similarities to High West’s last high aged rye, Rocky Mountain Rye 21 Year. Mainly, both keep their oak notes in check and are both very smooth drinkers. The 16 Year is also sweeter than most ryes, which makes for an interesting interplay with the rye spice. 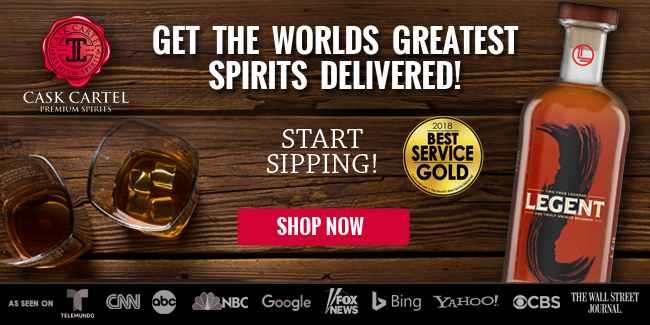 Many people don’t like to drink rye whiskey because they often describe it as harsh or too spicy. Someone would be hard pressed to describe Rocky Mountain Rye 16 Year in that regard. For what it is, this edition of Rocky Mountain Rye is unique enough in its own right much like the the two in the series before it. That answer of course depends on what you’re looking for. 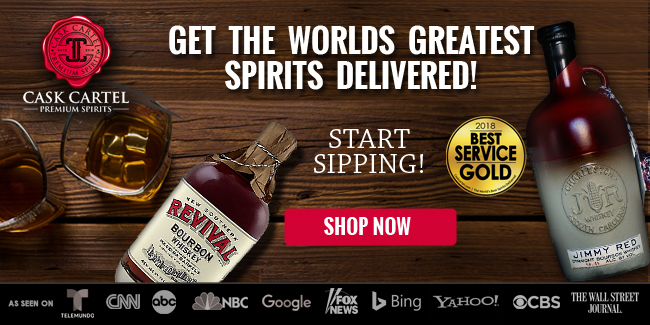 Even in a world where Rittenhouse 21-25 Year is long gone, Sazerac 18 and Van Winkle Family Reserve have become unicorn whiskeys and Willett’s Family Estate Rye bottles are dying out, $125 may still be too expensive for this whiskey. Yes, it’s a tasty rye that is on the sweeter side and has a perfect amount of oak notes, but it’s just not at the same level as other high end ryes. Again it’s a very enjoyable whiskey, but there’s nothing about it’s flavor profile jumps and screams “classic.” That said, the price is still within the realm (even below) of current [ultra] limited edition releases. 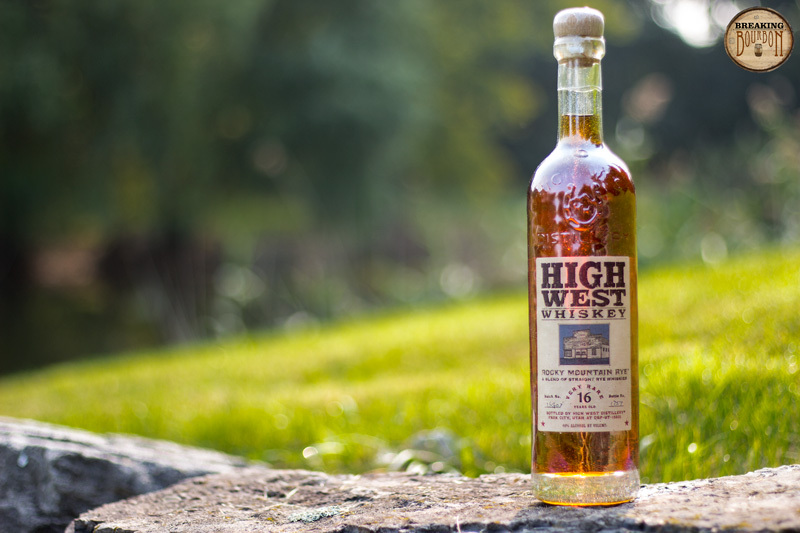 With an estimated 1,300 bottles being released, High West could have easily charged double for this and many on the secondary market will ask that or even much more. Essentially, don’t hate the player; hate the game. 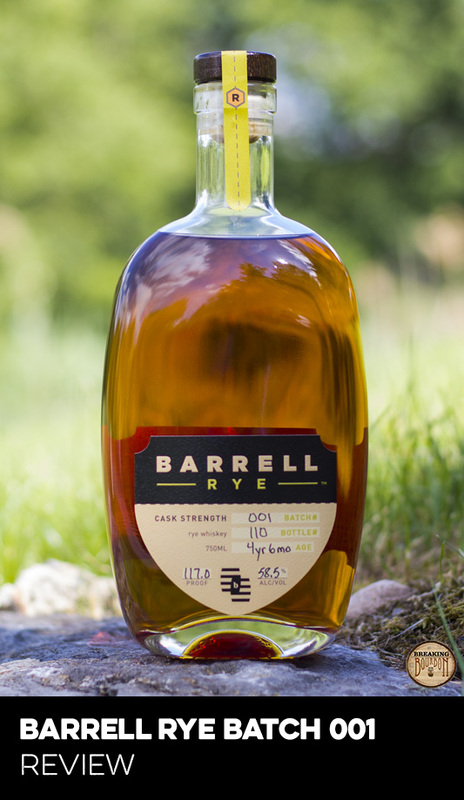 A sweet flavor profile with a near-perfect amount of oak makes for a very approachable rye that diehards will still wish was a bit more complex. 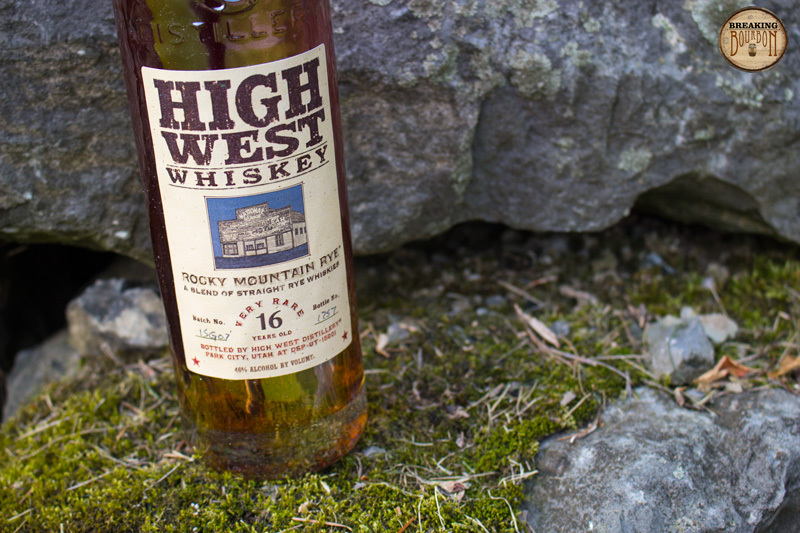 High West Rocky Mountain Rye 16 Year is an easy whiskey to like. It’s smooth, sweet, and incredibly easy to drink. If you’re not scared off by it’s price tag you’ll probably be satisfied by your purchase. It doesn’t hold up to other legendary high aged ryes, but maybe it doesn’t have to. 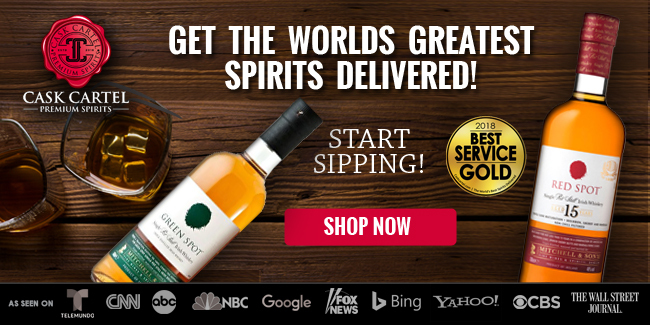 Whiskey diehards will probably find its price and quality don’t quite match, but with little direct competition in its age range and it’s very approachable nature, that might be enough to win over the masses. With the High West’s new distillery opening for in-house distillation, this is a turning point for the company. High West is committing to long-term whiskey making and a future where they can control their own product more. 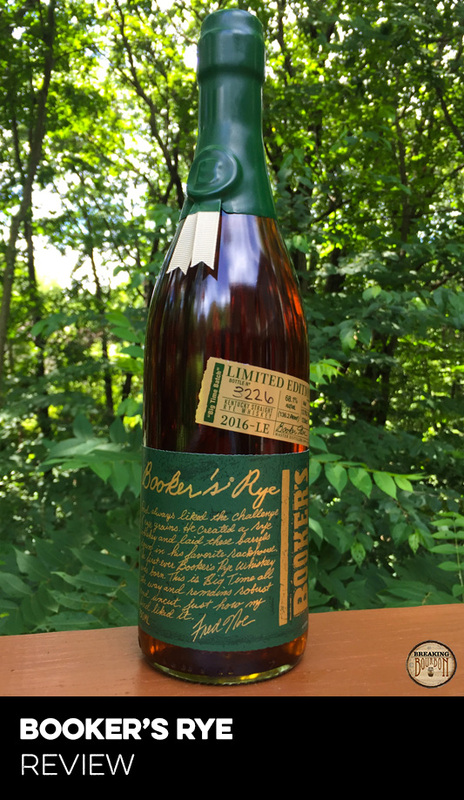 With Rocky Mountain Rye 16 Year the company was only able to source a few barrels for this release and with only an estimated 1,300 bottles available, few will get the chance to taste this. 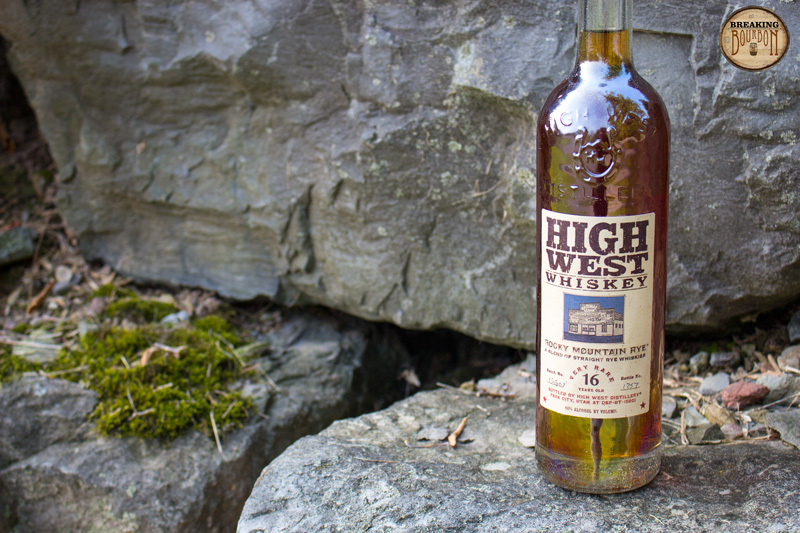 We’ve seen High West’s attention to detail and quality in everything they do so far, and this is no exception. 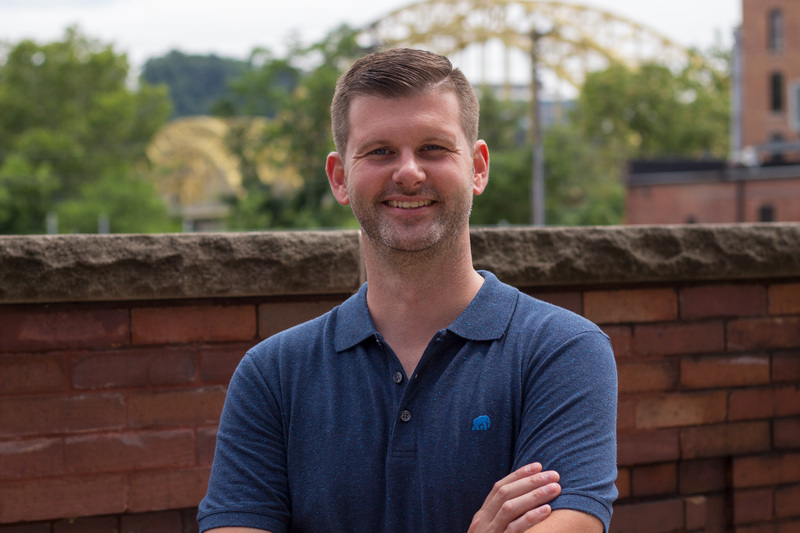 While whiskey sourcing and blending is a different skill set than distillation, the opening of the new distillery is a giant leap forward for a company whose future looks bright.